We take a quick look at Armello, which presents a digital board game experience that is very different from your average videogame. Armello is a rare breed in the world of videogames, since it’s a digital board game. There have been a ton of board game adaptations of classic board games, with everything ranging from Risk to Space Hulk. Warhammer franchise by Games Workshop has been especially popular with videogame developers, with several new games in development as we speak. We called Armello a rare breed though… and that’s because Armello was designed from the ground up as a digital board game without having a real life counterpart. It’s developer League of Geeks’ first game, and they were clearly inspired by the fantasy-heavy type of tabletop games. What they set out to do is to create a similar experience, but infusing it with the audiovisual possibilities that present day videogames offer. What we ended up playing felt very differently indeed. Having recently played the excellent Sorcerer King, we initially thought this was going to be similar. A rich fantasy world, unevenly stacked characters when you start out… this was going to be familiar! And then it wasn’t. 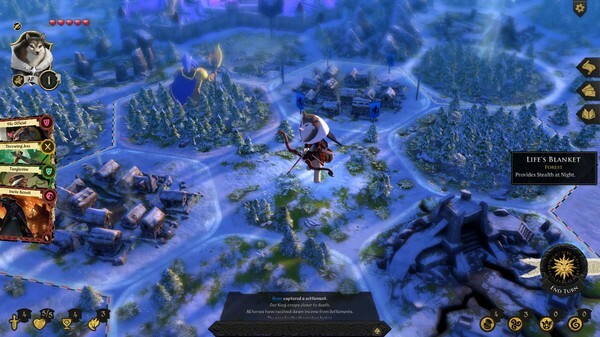 Armello really is what it promised to be – a digital board game. Its map is different every game, but there’s card, quests and turn-based gameplay – just like you’d expect in a fantasy board game. This is, initially, a strange feeling. You’re playing a board game, yet you’re sitting behind a computer by yourself. 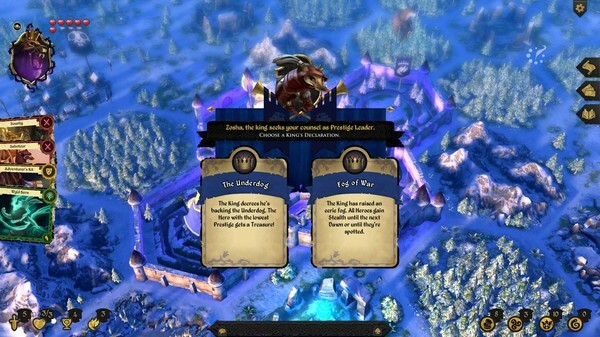 Armello is best played with a friend and can be played cooperatively as well, though he/she might end up betraying you in order to take the win without you as the endgame approaches.